Once the blooms on flowers start to curl, brown and dry out, it is best to deadhead them. This is essentially a process of cutting off the dried out bloom. This allows the plant to continue extending a new set of blooms and it keeps your garden looking great. 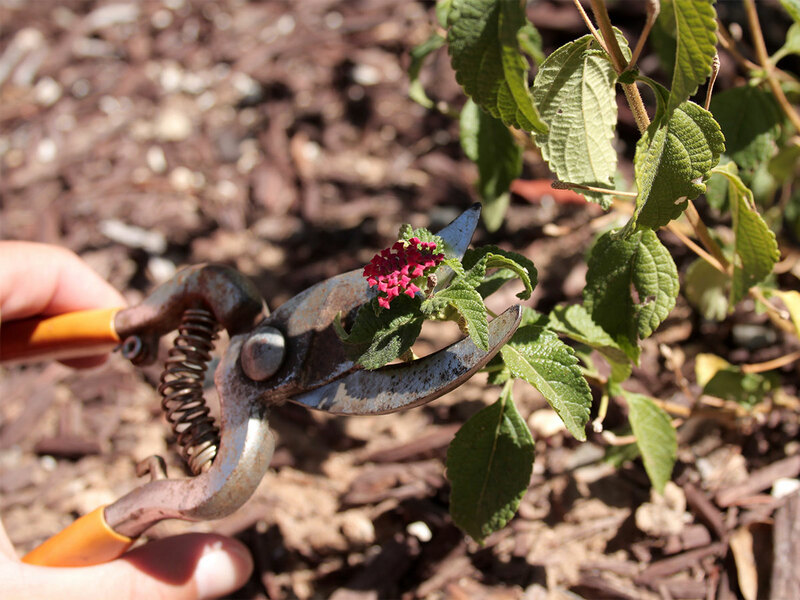 Using a pair of hand shears, you should cut off the stems of flowers that have dried out and are dead. This will make the flowers still in bloom look better, and give the plant more energy. Here is a quick video from Monkey See on how easy it is to deadhead your flowers.